Tate Britain will present the first major retrospective of work by Frank Bowling. Since the early 1960s Bowling (b.1934) has explored and expanded the possibilities of paint, influencing generations of artists through his spectacular kaleidoscopic paintings. This long overdue celebration of his work will be the first exhibition to span the full breadth of Bowling’s practice, bringing together rarely seen works and iconic series that highlight the quality and range of the artist’s remarkable six-decade career. Tate Britain will chart Frank Bowling’s rise to becoming one of Britain’s most visionary painters. Born in Guyana (then British Guiana) Bowling moved to London in 1953, and while serving in the RAF he met Keith Critchlow who introduced him to the London art scene. He went on to study at the Royal College of Art alongside David Hockney and R.B Kitaj and became the first Black artist nominated as a Royal Academician. Living and working between London and New York, he has continuously reinvented painting fueled by a knowledge of European tradition and post-war abstraction, and infuses his works with deeply personal narrative. For the first time, early figurative work including Cover Girl 1966, not shown in the UK since it was painted, will be exhibited alongside groundbreaking series from the 1970s and 80s and new works created over the past decade, in testament to Bowling's ongoing innovation. The artist moved to New York in the mid-1960s to immerse himself in the city’s diverse cultural landscape and became an important critical voice, writing seminal articles about Black art at the height of the Civil Rights movement. Ten of Bowling’s celebrated ‘Map Paintings’ created during this period will be brought together at Tate Britain, including Who's Afraid of Barney Newman 1968 and Polish Rebecca 1971. Up to seven meters long, these paintings comprise fields of colour overlaid with stenciled maps of the world, often re-orientated so that Latin America and Africa dominate the vast canvases. These ambitious and timely works examine a sense of place, displacement and identity in the wake of major geo-political changes that characterised the dissolution of the European colonial empires. Another room of the exhibition will be dedicated to the breathtaking ‘Poured Paintings’, for which Bowling created an energetic and innovative painting style, pouring acrylic paint from heights of up to two meters to form cascades of colour reminiscent of waterfalls or lava flow. The persistent need to reinvent painting later fueled the development of a highly sculptural approach, introducing three-dimensional objects, multiple canvases, metallic pigments, chalk and gels to create densely textured surfaces and loosely geometric structures. Bowling at times applies this tactile process to hint at topographical forms, as in the remarkable Great Thames paintings which evoke undulating riverbeds and the play of sunlight on water. Produced in a studio near the banks of the river they are among his most lyrical works and reflect an admiration for British landscape painters such as Turner and Constable. Further highlights will include poignantly autobiographical works such as a selection of canvases from the 1960s that bridge pop and colour field painting and feature stenciled images of Bowling’s childhood home. Tate Britain will also show Sacha Jason Guyana Dreams 1989, a vibrant composition inspired by the artist’s first visit to Guyana with his son Sacha. The exhibition will end with a section dedicated to paintings made over the last decade, an explosive period of productivity and experimentation. Frank Bowling is curated by Elena Crippa, Curator, Modern and Contemporary British Art and Laura Castagnini, Assistant Curator. The exhibition is accompanied by a catalogue from Tate Publishing and a programme of talks and events in the gallery. For press information contact Kirsten.Cowie@tate.org.uk or Jean.Tang@tate.org.uk or call +44(0)20 7887 8732. High resolution press images can be downloaded from Tate's Dropbox. 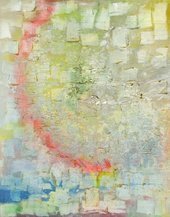 The link to Frank Bowling images will expire when the exhibition closes.